As real estate continues to recover from the collapse in 2008, those who aren't incredibly rich struggle to find residences that are affordable yet spacious. In response to this, architects have been using new technology to experiment with building designs that are as functional as they are eye-catching. One of the drawbacks of using computers to design living spaces is their inability to factor in human comfort. How can programmers get people to believe that a computerized design could just as easily have come from human hands? Miguel Nóbrega, recently a grad student at UCLA, created Superficie with the intention of giving the cold, calculating design of coded blueprints a more human touch. 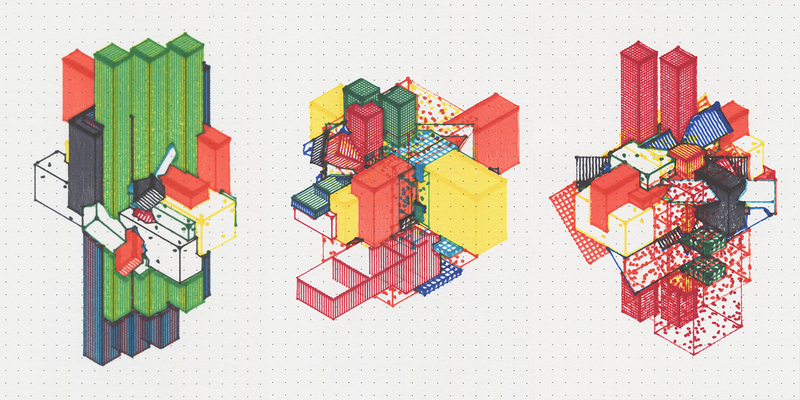 Using CNC markers that are standard for blueprint artists, the program designs geometrically functional residences in ways that are remarkably human. Nóbrega's groundbreaking program demonstrates that even a machine can account for personal needs. It's said that a true innovator can look at seemingly unremarkable things and see limitless possibilities. But the real question is always whether the innovator will create something that is actually useful and not simply creative. 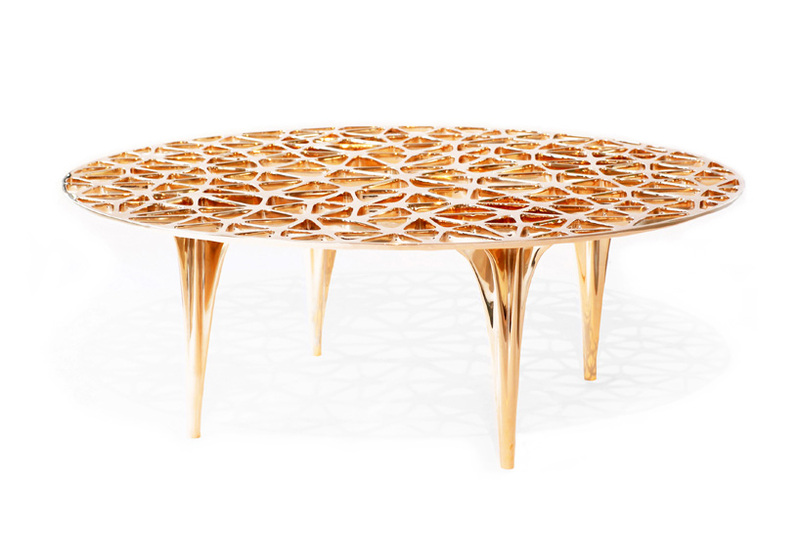 It was that challenge which Finnish designer Janne Kyttanen decided face head-on when he created his 3D-printed furniture. Kyttanen's inventions were influenced by naturally occurring elements and forces, from rock formations to volcanic eruptions. He has even used volcanic obsidian to create coffee tables, trays, and stools. "If we're able to use explosion-welding to join materials that wouldn't naturally fuse together," Kyttanen says, "what would happen if we could control this force digitally? What kind of hybrid matter could we create?" Our ability to create shelters of our own is one of the most intriguing human instincts. While we've come a long way from dwelling in mud huts and caves, our perennial need to paint the walls and keep our loved ones near remains. As the way that homes are built changes with technological advancements, our ability to make them uniquely ours stays ever the same. So many things are designed to be all-inclusive, but there will always be those who are unable to partake fully. This is especially true of works of art. Several mitigating factors: language, region, even sensory perception, can keep the little details from getting through. Fortunately, cutting-edge advancements in technology are helping matters considerably. The following two stories are about disabled individuals using modern technology to share in the same experiences as their peers. The Mona Lisa has long been one of the most revered portraits in history. The painting has been studied, copied, and parodied so many times, it's hard to imagine what the world was like before it was created. Nevertheless, its two-dimensional nature makes it almost impossible for visually impaired persons to experience its detail and beauty. Thanks to a group of Finnish artists, that may soon change. The Unseen Art project is based out of Helsinki and operates with the goal of making traditionally two-dimensional works of into 3D prints that one can touch. 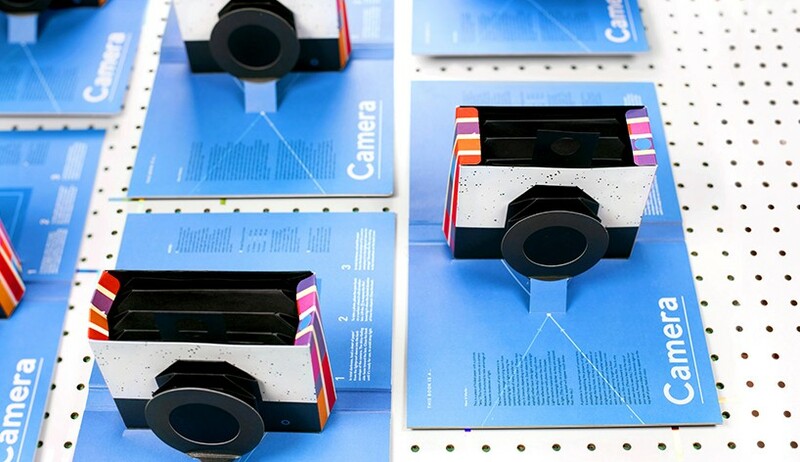 The prints are to be open-sourced, allowing for printing all over the world. 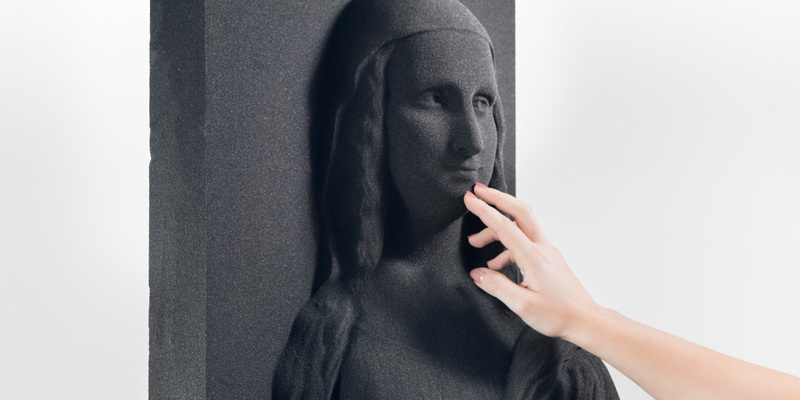 Although the project is still trying to raise funds through an IndieGoGo campaign, it has already created a prototype of the Mona Lisa. The ultimate goal is create a full gallery's worth of prints, so that blind art patrons will have a collection of their very own. For those with disabilities, even the mundane task of selecting clothes can be a chore. Whereas most people select clothing based on comfort and design, autistic individuals find themselves struggling with size, shape, and patterns. 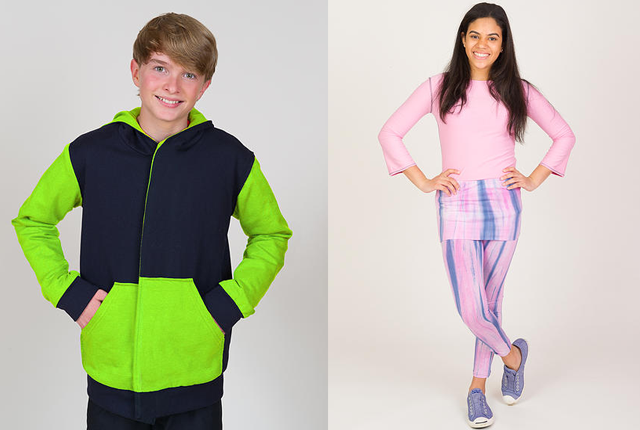 One mother made simplifying clothing options for her autistic son her personal cause. Former CNN anchor Lauren Thierry created Independence Day Clothing after years of helping Liam, her autistic son, struggle with clothing. Thierry's clothing line, designed for both adults and children, eliminates the need for buttons, zippers, and tags, and that lowers the risk of injury. The clothes are also designed in a way that eliminates any specific front or back, allowing wearers to put the clothes on however they like. For the millions who deal with conditions like autism, Thierry's clothing line gives a welcome sense relief and independence. "We really changed the conversation," Thierry says. "They can get up, get dressed, and feel good about themselves." One important thing to remember about people with disabilities is that, just like those without disabilities, they have their learning curves. The ultimate goal of learning, whether we're learning to speak a new language or to walk again after a debilitating accident, is to have what is being learned become second nature. Technology is making that goal more and more attainable. When you spend most of the day surrounded by office supplies, it's easy to overlook them. Pencils and paper clips can easily remain unnoticed until they happen to go missing when you need them most. One of the defining characteristics of a true artist is being able to make the most out of available resources, no matter how limited those resources might be. The artists we look at here took the abundant supplies they saw every day and turned them into stunning works. With the advent of digital tools in the workplace, many prominent businesses have taken steps to make their offices as paper-free as possible. This is often done to expedite the exchange of files, as well as promote the company as having "gone green." Still, many companies are unable to afford making the switch to being completely digital. Paper remains an important element in modern business. 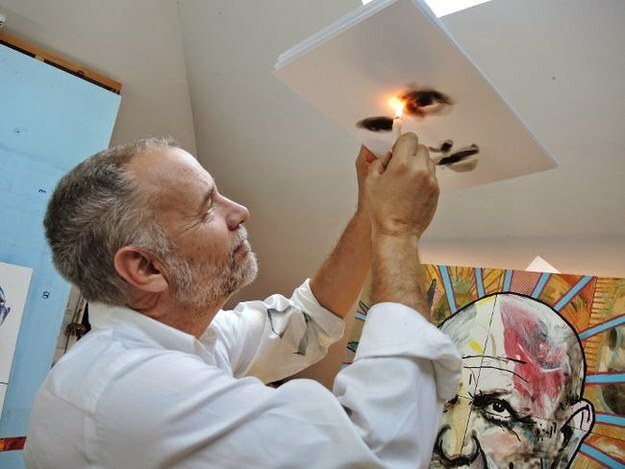 Stephen Spazuk began incorporating fire into his art in 2001. To create the initial primer images, he uses carefully controlled flames—usually with methane candles—on acid-free paper. He then completes the images with light brushes or pencils before spraying the final image with varnish to preserve the flame's soot. Says Spazuk, "When I put the flame to paper, I don't know what I'm going to get, and that's the pure joy of working with soot." Post-It notes are one of the most ubiquitous office supplies. They offer a fine way to remind oneself or others of work that needs to be done. With their bright color scheme and adhesiveness, it's easy to see why they're often used by artists as a means of self-expression in an otherwise mundane office setting. That's the sort of inspiration that struck a Japanese architect in 2001. Yo Shimada had a point he wanted to make about structural integrity, so he decided to use Post-It notes as paper building blocks for a construction demonstration. 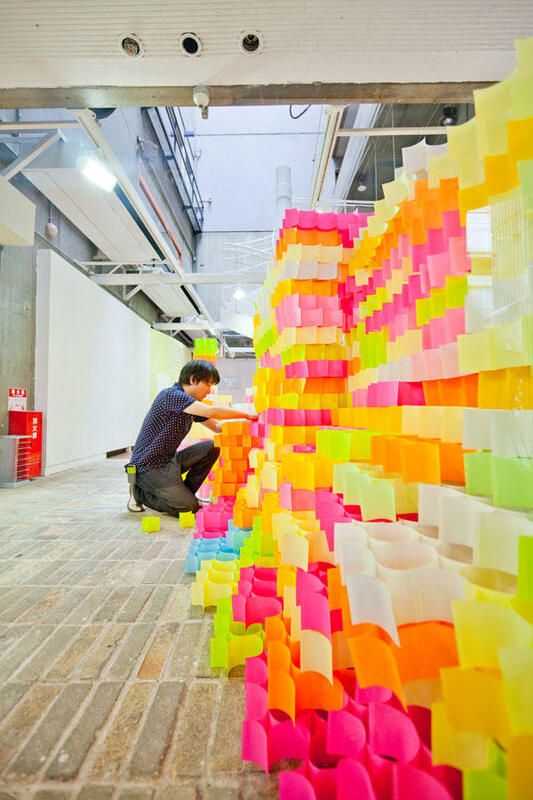 With the help of students from the Kyoto University of Art and Design, Shimada spent three days turning more than thirty thousand Post-Its into a carefully constructed "brick" wall. Though the wall has long since come down, images of it continue to be popular among architects and casual viewers alike. Office buildings frequently vary in shape and structure, but not often in color. Since the materials used—brick, mortar, metal, glass—don't generally lend themselves to eclectic color schemes, one rarely sees the equivalent of a Lisa Frank design on a building's exterior. Nevertheless, one Southern California business has used the illusion of an artistic faux pas on its building as one of the business's defining traits. Artist Jen Stark was given carte blanche when she was commissioned to design the exterior artwork for Platform, a business hub in Culver City, CA. 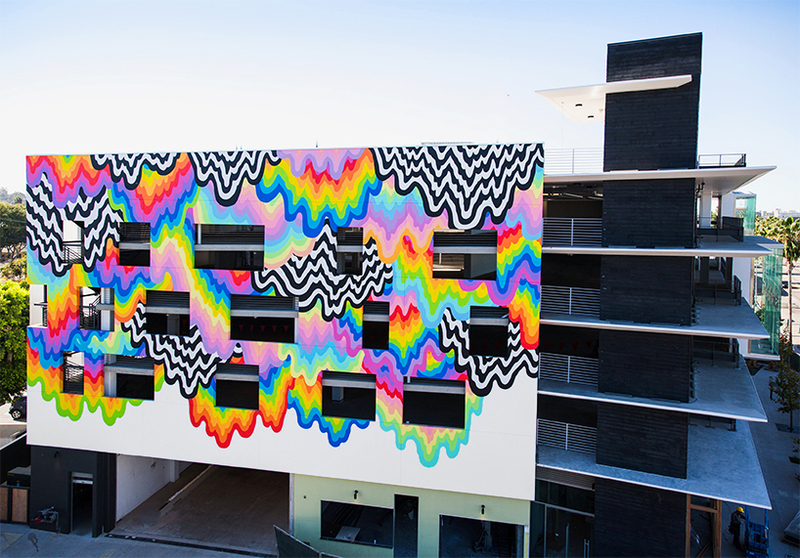 Representatives of the building wanted something that would stand out from all the surrounding buildings, and knew that the Los Angeles-based artist would do just that. Stark's mural, dubbed "Technicolor Ooze," is a carefully designed image that gives the illusion of various colors of paint dripping down the side of the Platform building. Although it may appear to be a work gone horribly wrong, the mural has become the calling card for Platform's standing out from the competition. Just because worker efficiency is coveted in an office environment doesn't mean creativity should be discouraged. The average workday provides plenty of opportunities to express yourself artistically if you know where to look and don't ignore your responsibilities. Let productivity be the goal, and creativity be the reward. The idea of push-button medicine has always seemed like the sort of idea destined to remain more “fiction” than “science”. Every day brings new headlines about bureaucratic battles over insurance premiums that do little to improve health for the average citizen. But as the political battles over medicine rage on, medical science continues to make strides. Recent innovations in 3D printing have lead to advancements in surgery, prosthetics, and even medicine, giving health professionals more options for treatment. 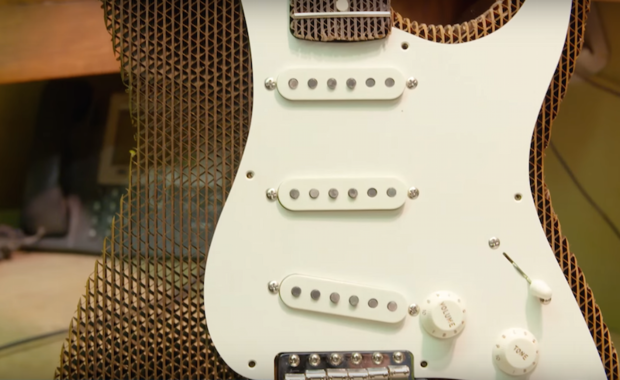 The following stories reflect how 3D printing continues to be one of the most revolutionary tools in the history of health care technology. One of the most frustrating aspects of seeking medical care is to be thought of as one-of-many rather than an individual. Medical professionals in highly-populated areas are often fighting against time in an attempt to see everyone; personal care catered to the specific needs of each patient can sometimes seem like a luxury rather than the necessity it is. Fortunately, personal care in an expeditious manner may be closer than we think. Image via Massachusetts Institute of Technology. Researchers for the American Heart Association recently created a computer algorithm for a personalized pill. 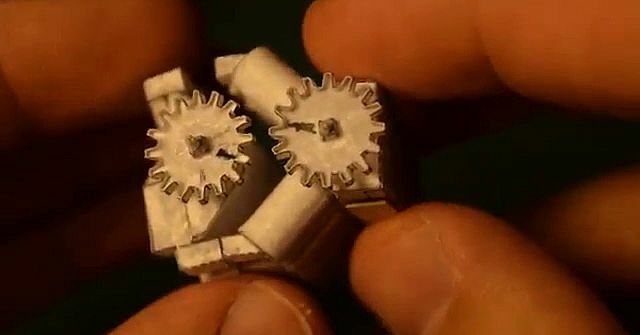 The ingestible medication would be 3D printed based on a specific patient's medical history. The researchers say their method increases the effectiveness of the medication and reduces the chances of side effects. 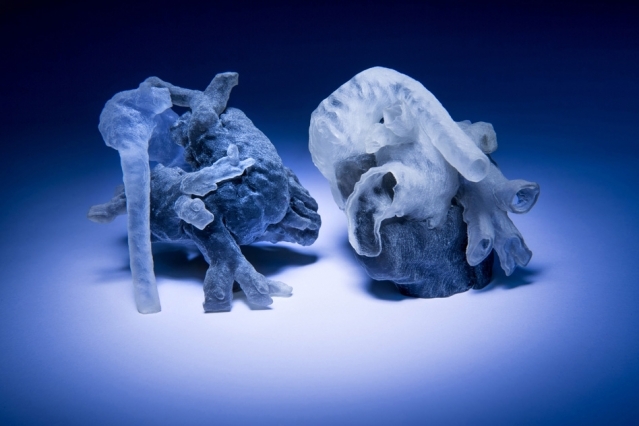 A similar heart-related breakthrough was made at the Massachusetts Institute of Technology (MIT), where researchers have created a method of turning MRI scans into 3D printed models of the heart. The system was created to give heart surgeons a physical model of the heart to interact with before surgery takes place. Both the personal pill and the 3D heart model are still in their experimental stages, but they represent great strides in health care. Injuries to the knees and legs are some of the most common amongst athletes, with some losing entire seasons or careers to these ailments. But as common as these injuries are, they’re also some of the most difficult to treat; a slight miscalculation can leave permanent damage. With that in mind, scientists have begun exploring the idea of replacing a damaged cartilage rather than repairing it. Researchers at Duke University have developed a method for 3D printing human cartilage to replace its damaged counterpart. The procedure would weave the patient’s own stem cells into a specific shape to be used in the damaged area. The Duke researchers are currently experimenting on large animals and have already begun planning human trials for the future. From our earliest days, we’re told that one of the inevitabilities of growing older will be noticing changes to our hair. Hair replacement is a billion-dollar industry with no signs of decreasing anytime soon. But the bottles of scalp stimulant in your medicine cabinet may soon be replaced by a high-quality substitute. 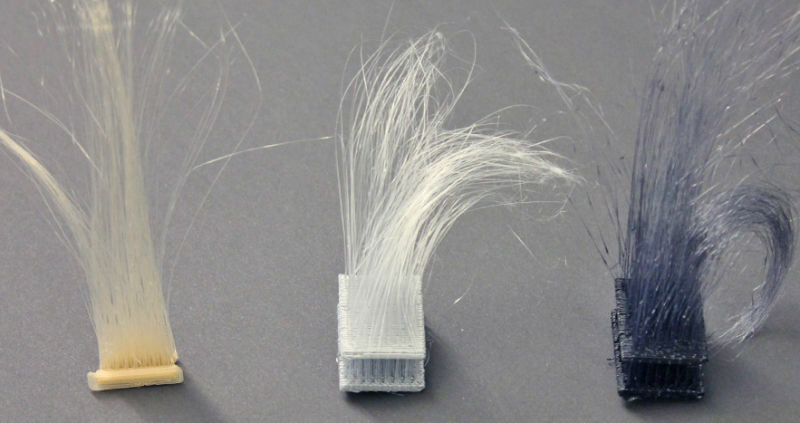 Bad wigs and loose toupees may be a thing of the past thanks to new experiments in 3D printing synthetic hair. A team of researchers at Carnegie Mellon University have created a technique that allows a printer to craft strands that resemble of a human crop. The technique is currently being worked for flaws – the printed hair is much more fragile than organic hair – but the idea of a hair piece that resembles the unnatural texture of a doll’s head may soon become a thing of the past. Although the political battle over medicine seems to have no end in sight, both the political and scientific issues exist because of the patient. As long as patients continue to make their concerns heard and their conditions visible, both senators and scientists will eventually take notice.